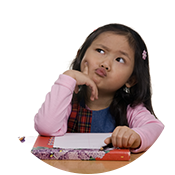 Private Kindergarten Salt Lake City - Learn More | Child Time Inc.
Kindergarten is such an important time and milestone for your child. They are embarking on their school career, and are at a newly developed stage of independence. They’re figuring out the world around them, and are understanding how to navigate everything in their own way. 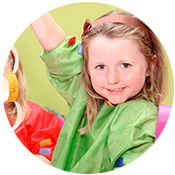 Having the best support and guidance during this time is essential, and Child Time Inc. can provide an unparalleled private kindergarten experience. 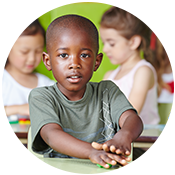 We implement a 1:12 teacher to child ratio, meaning your child gets added support and individual attention. Science, literacy, mathematics, social studies, penmanship, art, music, and computer skills are all covered and taught. Our private kindergarten program combines the Reggio Emilia methods with the Utah State Office of Education Core Standards for Kindergarten, and makes for a smoother transition into first grade. With the Reggio Emilia philosophy, we take a hands-on approach to learning, in which children can construct their own knowledge through exploration. We offer instructional centers that allow for a deeper and more authentic understanding. When students are not being told what to think, but are instead are creating their own knowledge through facilitation and guidance, the lessons are entirely more meaningful. 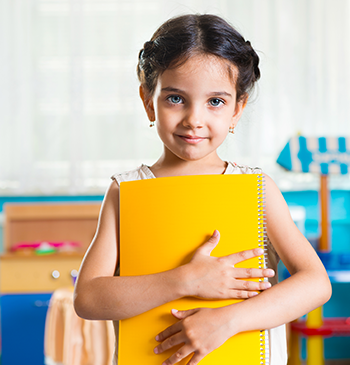 If you want your child to continue developing social and emotional skills, receive standard-aligned instruction in a hands-on approach, and experience the benefits of a small classroom, our private kindergarten option at Child Time Inc. might be the perfect option. You can trust that our private kindergarten class is an exceptional center of learning, where your child will truly be able to thrive. Contact our preschool and childcare center to learn more!